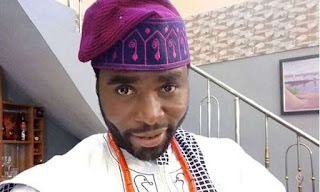 Nollywood news + Naija Gist | Yoruba movies, Naijagist, Nigerian music, Naija news, Nigerian movies: Ibrahim Chatta reveals how his mother passed away sadly! Ibrahim Chatta reveals how his mother passed away sadly! The Talented role interpreter, Ibrahim Chatta who recently lost his mother revealed in a brief interview with PunnchNG, the last moment he shared with his mum. Read from his words below..
"Initially my wife had called from Ibadan to inform me that a nurse we hired to take care of my mum had not been coming for some time." "So I asked my wife to take her to a hospital. While there, mum had to undergo some treatment and was later discharged. A few days after she returned home, she fell sick again. And that was it. Although she was old, I am still in shock. Nobody likes to lose his mother."